"Imagine it’s a sunny day. You own solar panels, but you’re not at home to profit from the green energy that’s being generated. Shame you can’t share it with someone else, right? The Powerpeers app brings green energy supply and demand together, promising 100% clean energy to everyone. Generated solar energy is transferred to the energy network via a smart meter that labels the energy. These labels make energy completely traceable. Powerpeers is a community-based platform for sustainable energy. Via the app users can always see whose energy is powering their house: a farmer nearby or a neighbour. And they can share, sell or buy excess electricity and invite friends to share energy with." "Everything big starts small. Especially creative ideas. Every inspiring thought, every great invention—there was always this tiny spark, before things accelerate. From this notion, we love to empower people to actively participate in making our world cleaner. By sharing your self-generated clean energy with those who can’t generate it themselves. We strongly believe that each individual has the power to make a great impact on today’s energy market. The Powerpeers community is the driving force behind our progress in bringing about a truly sustainable energy supply. So ultimately we create a positive chain reaction throughout the whole world. By making energy personal, easy and honest." "Our mission is to accelerate the spread of sustainable energy, together with our community members. We are making energy easy, personal and honest, because we know that there is a demand for this. Powerpeers is a new kind of energy company which is on trend for green living, the sharing economy and today’s "connected" society. The energy market is in a state of transition. And Powerpeers is proof of where the future of energy is heading—many-to-many energy supply, based on real-time supply and demand. And we make it personal which means that you can follow from who you receive your energy. Making it as transparent as it gets." 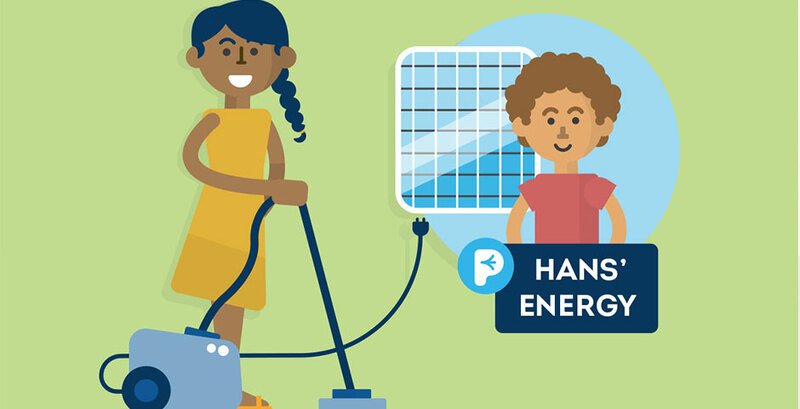 "Before the start: When Michiel Ooms was leaving his house for a vacation, friend and colleague Lars Falch pointed to Michiel’s solar panels and asked “Can I use your solar energy during your vacation?” And with this, Powerpeers was born… During our journey: In the first half year of launching Powerpeers, we have been approached by more than 50 (energy) companies all over the globe. The fact that they see us as the leading company that is shaping the new energy landscape encouraged and motivated us enormously." "Yes. We use web and app. Since Powerpeers is seen as “Airbnb of the energy market meets Facebook,” offering a digital marketplace platform is logical. Besides we add the uniqueness App twofold: (1) mobility: wherever you are, you can see and select the nearest renewable power source, and (2) you can form your own energy network/community by inviting your friends and family via your phonebook. We are the first energy platform that offers a great onboarding process via a seamlessly integrated (personal and funny) chat-flow." "Building a completely new energy company from scratch that offers and creates a whole new way of how energy is seen was the biggest challenge. And making it more personal and traceable, while growing and reaching tens of thousands customers. All of that in three years. That is very rewarding. And now we even started offering the technology we’ve developed to other energy companies, so the whole world can take part in this." "We knew in advance, but we still underestimated the challenge of simplifying on the customer facing part of something that is so complex underneath as the energy industry. We’re still learning every day and continuously take customer feedback into account in our development loop." We are making energy easy, personal and honest, because we know that there is a demand for this.